I’m relatively new to World Food Program USA. I started this past fall as our development director. At the time, I knew the World Food Programme (WFP) was doing incredible work feeding millions across the globe. 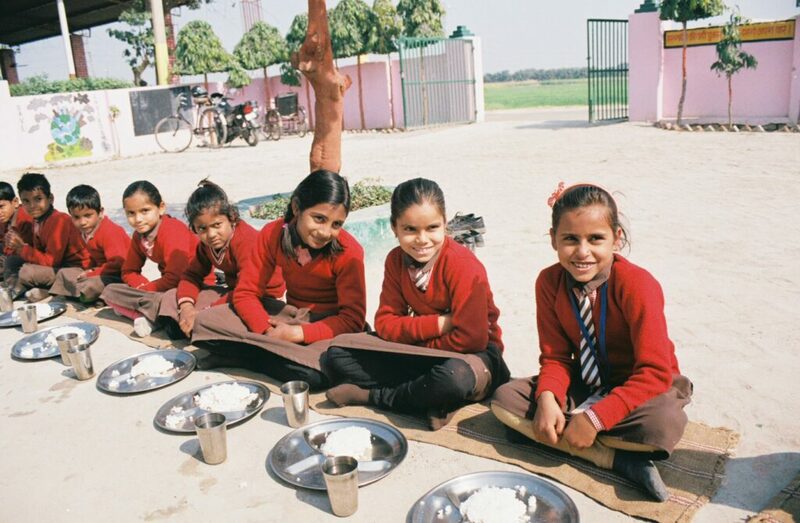 But it wasn’t until I traveled to India to visit a WFP school feeding site that I truly understood the transformative difference it’s making in the lives of people in need. 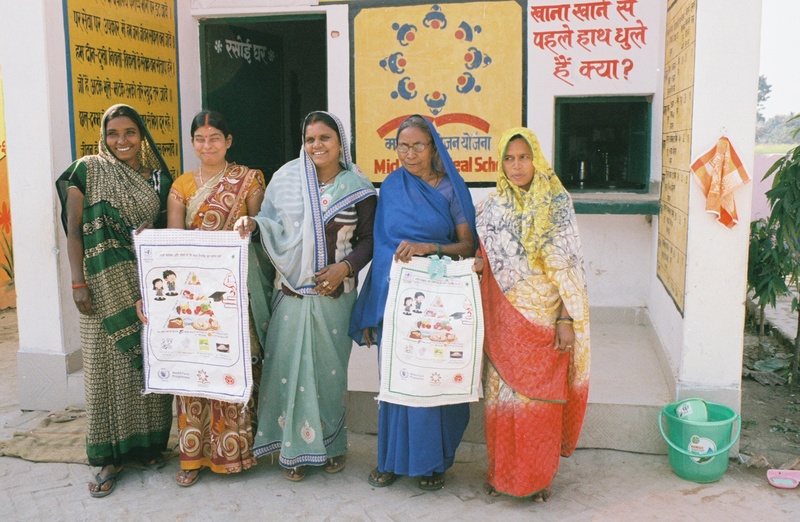 I visited the school this past February with General Mills, our partner supporting child nutrition efforts in Uttar Pradesh, an Indian state where a large proportion of youth exhibit symptoms of malnutrition. For the past two years, General Mills Foundation has supported a WFP program that provides thousands of schoolchildren there with mid-day meals fortified with critical micronutrients that support their development. The school we saw is in a rural area about an hour outside of Varanasi, the region’s largest city. To be honest, I wasn’t quite sure what to expect, but I was more than impressed by everyone at the school and the difference the meal was making in these children’s lives. *School staff hold up bags of WFP fortified rice. When we arrived at the school, the principal greeted us graciously, thanking us for the program. She said since they’ve been serving fortified meals the transformation has been night and day. Thanks to the meals, the students were happier, healthier, more alert, active and engaged. Their attendance rates at school have also risen. With the security of a meal, parents are more likely to keep their kids in class instead of pulling them out to work for the food their family needs. *Children at the school washing their hands before their meal. *A school cook with a handful of the fortified rice she cooks for the children. The students’ happiness was palpable when the lunch bell rang. They eagerly lined up, washed their hands and were served a healthy meal of fortified rice and veggies by two school cooks who craft the cuisine onsite. When the children finished eating, some asked for seconds, and there was just enough left over for them to have more. So many of these kids’ families can’t afford the food they need at home. It was heartwarming to know that at least when they’re at school, they don’t have to worry about hunger. *A school cook serving children their mid-day meal. After spending two days with the kids and staff, it was hard to say goodbye – but even still, I left inspired. It’s one thing to know, and it’s another to experience the reality that WFP truly is contributing to people’s lives in a meaningful and lasting way. I felt a renewed sense of purpose in the work that my colleagues and I do every day. I’m also inspired because when I return to Uttar Pradesh next time, even more children will be receiving the nourishment that school meals provide. General Mills Foundation recently committed to further funding the program to scale. 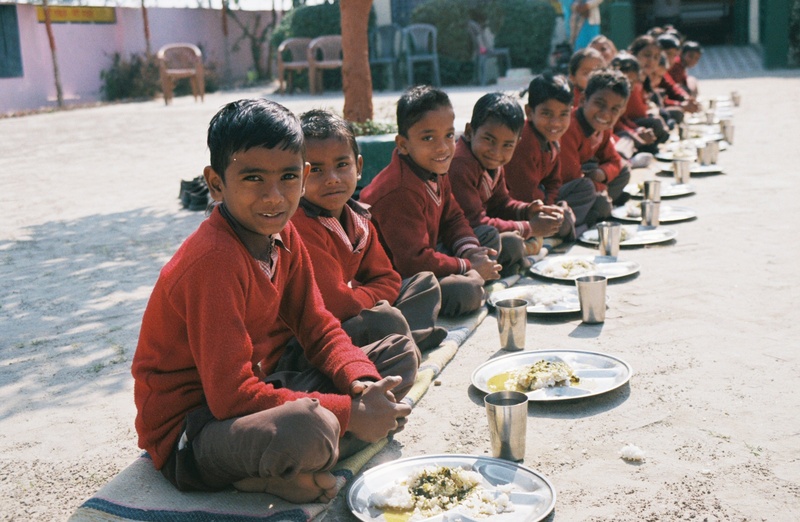 The goal is to eventually provide every school child in Uttar Pradesh with a fortified, mid-day meal. I’m so proud to be a part of an organization that, together with partners like General Mills, will turn this goal into an achievement. 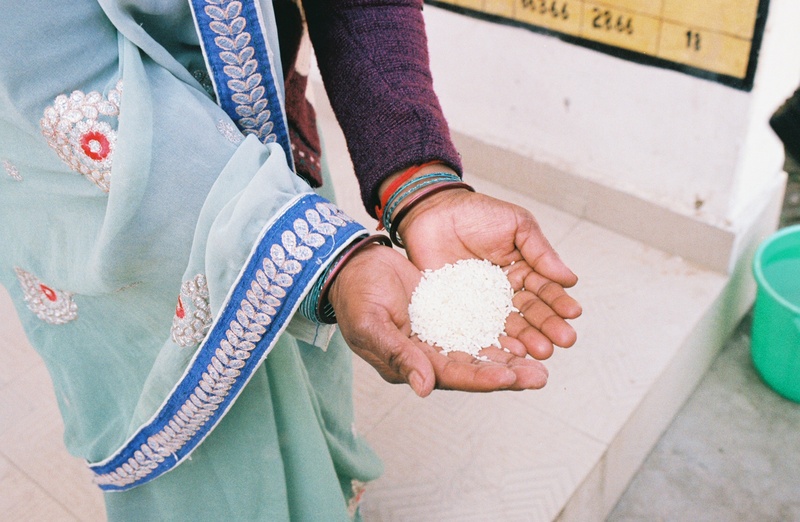 Together, we can solve hunger for kids in India and across the world. Prefer to set up a monthly donation? Click here. © 2019 World Food Program USA. World Food Program USA is a nonprofit 501(c)(3) public charity (tax ID# 13-3843435). EMERGENCY ALERT: Cyclone Idai has left 3 million people across Mozambique, Malawi and Zimbabwe without food. WFP urgently needs your support to continue its lifesaving operations across the region.